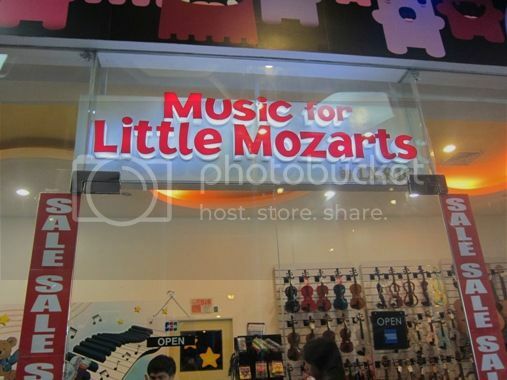 While I was contemplating where to get free term life insurance rates while strolling inside Kids Universe at the SM Mall of Asia yesterday, father and son were preoccupied checking out the items at this interesting musical instruments store called Music for Little Mozarts. 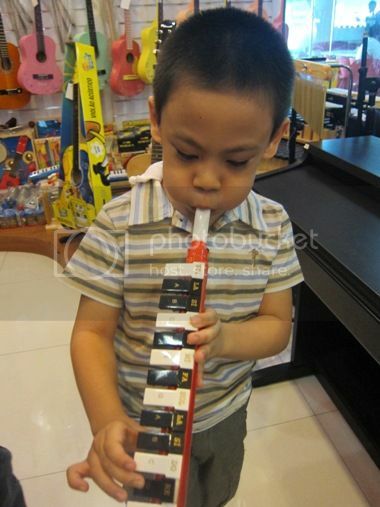 The little boy wanted a different musical instrument, but we convinced him to settle for the melodica instead because it was unique and because it was lightweight and portable. It was cheap, too; it only cost Php150.00. We also bought an instruction booklet for only Php50.00. I am pretty sure that this new musical toy will keep my 5-year-old son busy for hours and days, and because he’ll play this melodica non-stop, I’m quite certain that I’ll get distracted at work, so good luck to me! Lol! This entry was posted in Melodica, Musical Instrument, Musical Toy. Bookmark the permalink. Melodica pala tawag dyan at mura lang ha! Ako naman atuto ako mag guitar nung bata pa ako pero isa lang yung alam ko itugtog. lol! ← Swimming Time at Ascott Makati!